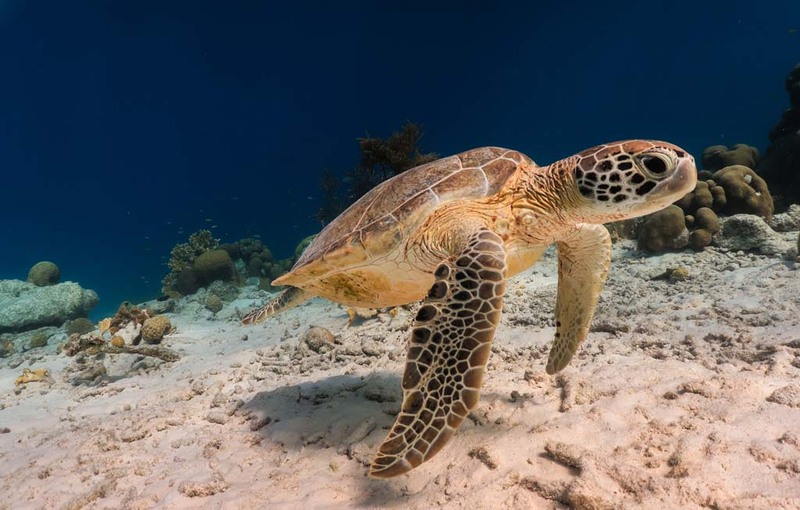 Seacow Bonaire Snorkel Trip | Voted best on Tripadvisor | Book now! 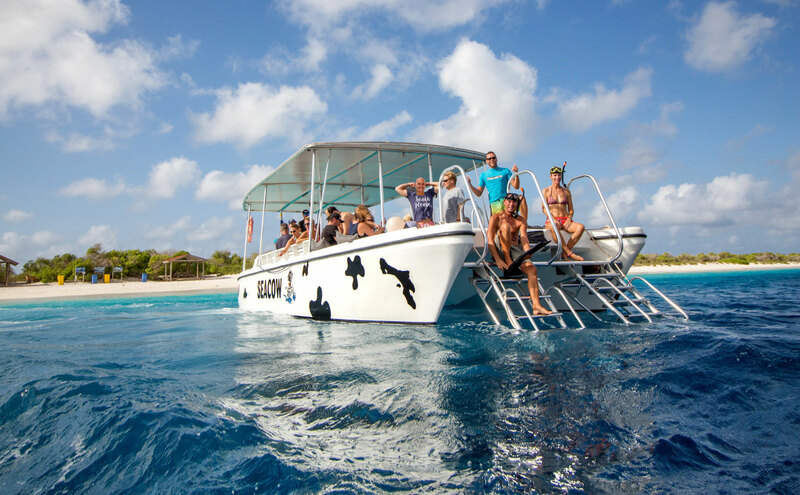 Explore the Caribbean Sea on the Sea Cow, originally a catamaran turned into one of Bonaire’s most popular snorkel experiences. 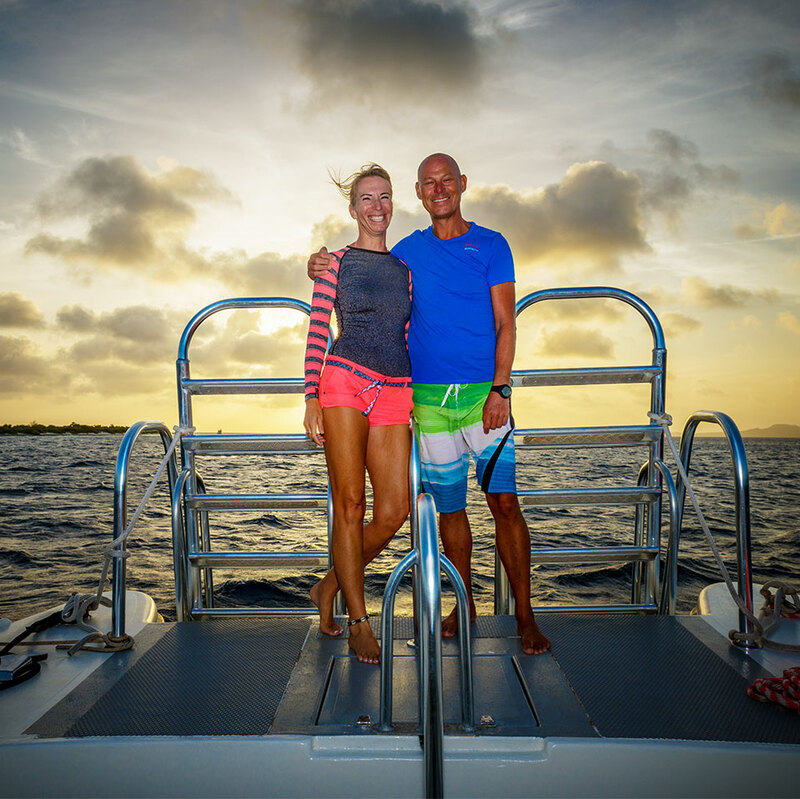 Henk & Gea and their crew, all very knowledgeable guides bring you to the most beautiful snorkel spots of Klein Bonaire. Enjoy the cool breezes, clear blue waters, the relaxed atmosphere and the spectacular underwater world. 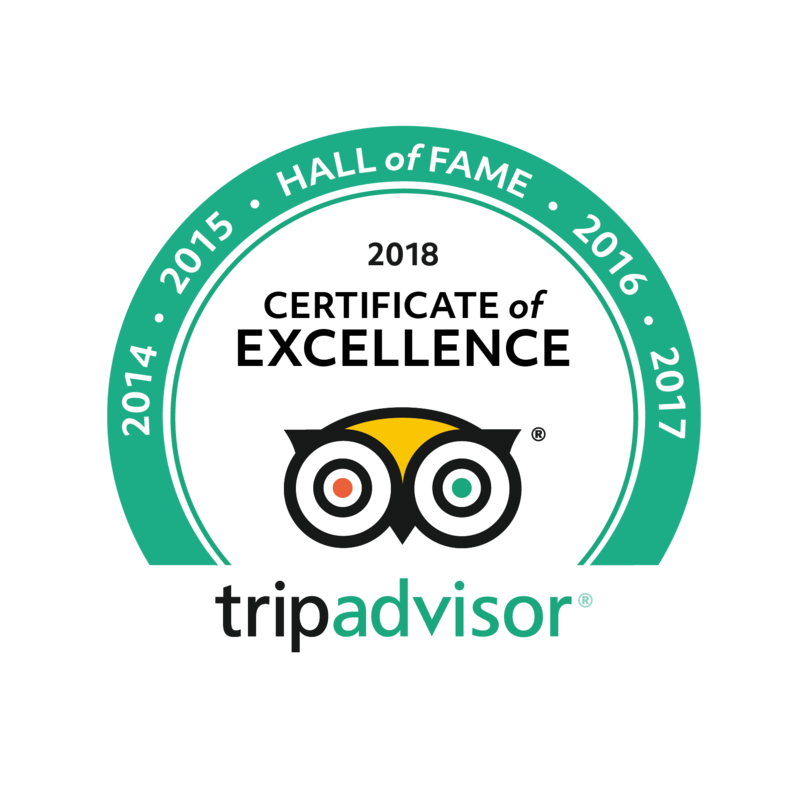 Thank’s to all our lovely guests who took the time to write excellent reviews about Sea Cow we’ve been awarded the Hall of Fame award. We are proud and thankful and we will do everything we can to continue giving our guests the best snorkel experience. We hope you will share your feedback too, it means a lot to us. We provide a 3,5 hours guided drift snorkel trip in a relaxed atmosphere. 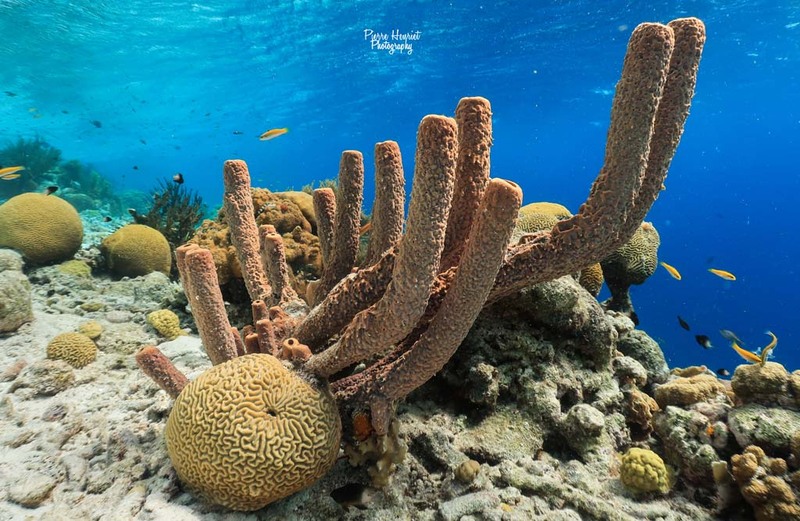 At Klein Bonaire, we make two magnificent different stops and we snorkel in small groups. In between, you will enjoy the great surroundings and breathtaking views while we serve you our homemade snacks/bites and refreshments. We provide a 2,5 hours guided snorkel trip in a relaxed atmosphere and no crowds onboard. Discover the awakening nightlife underwater during Bonaire’s amazing sunsets. A mysterious new world opens up, whatever the ocean wants to reveal to you on any given night is always a gift. Whether you are a first-time snorkeler or very experienced, we believe more personal attention results in more fun and better snorkeling. Together we create lasting memories and stories to tell. Our selection of Tours offers something for everyone………. We, Henk and Gea are the proud owners of the Sea Cow. Our adventure started during our holiday in 2009, we fell in love with the beautiful Island Bonaire and decided to realize our dream………to live, work and enjoy the relaxed atmosphere of this beautiful paradise. As Henk worked with the police in the Netherlands, from where he applied to the Corps Bonaire where he started in early 2011. Gea had a strong connection to the ocean and the underwater world and was lucky to apply for a job on a catamaran. Luck was with us as in 2013 we bought our own company Sea Cow Charters and started with a Venezuelan Fruitvessel which is “retired” now. In 2016 we found our current boat on Curacao, a catamaran and worked for nine months on it. We completely sawed the boat in halves to extend her with 6ft to a total length of over 40 ft. After this thorough restoration, the boat is now in excellent condition and offers comfortable seating, shade and two large metal ladders that make it easy for everyone to go in and out of the water. We and our entire Team make sure you will have an unforgettable experience. Safety is our Number 1, all required safety equipment is onboard and our complete crew is trained in CPR, Oxygen providing and First Aid. Oxybenzone is the main active ingredient in most sunscreens. But the same mechanism that makes it filter out ultraviolet light and prevent sunburns in humans makes it lethal to baby coral. Basically, the sunscreen ingredient is shoving coral reefs off the ledge on which they’re already teetering. Learn more in this video! Perfect tour to do snorkel with Gea and her team at Klein Bonaire. Marvellous experience as they give you a lot of tips for the snorkeling itself. Even if you did snorkel before, there is always something to learn. I can't over express how pleased we were with our snorkeling tour. The staff was friendly, professional, gracious and very aware of participants' abilities and safety. The guides were very courteous and knowledgeable. Top notch, #1 outfit. Not to be missed. Great boat, great food, graet drinks. These guys understand it. You get to see beautifull underwater life, the guide provides great information and points out all the specials. Love it. Already did two tours with them! You have a celebration, a business meeting or you just want to be with your friends and family and you would like to customize this with an amazing trip? Just contact us, anything is possible in agreement. Can I book with you as a cruise ship passenger? Yes, you can! Please book your Tour through the cruise ship agency if your date is not available or states “sold out”. If you can’t find our excursion on your cruise line website feel free to send us an email so we can send you our Tour code and Tour name. Please bring a towel, Rash Guard Top (Swim Shirt if you burn fast), sunscreen, wetsuit (when you get cold quickly). In addition: a Stinapa Nature Fee required and not included in this price. You can buy your fee at most hotels or dive shops for $25,- (cash only). Do you have a restroom on board? No, we don’t have any restroom facilities on board. I have mobility issues, can I still come on board? You’re most welcome! Our boat offers comfortable seating, shade and two large metal ladders that make it easy for everyone to go in and out of the water. Can we pay with credit card on board? Unfortunately, we can only take credit card payments upfront via the website. Upon arrival, we only take cash. Book upfront via our website or pay cash upon arrival.